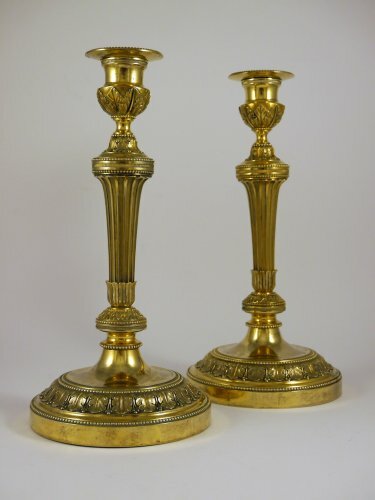 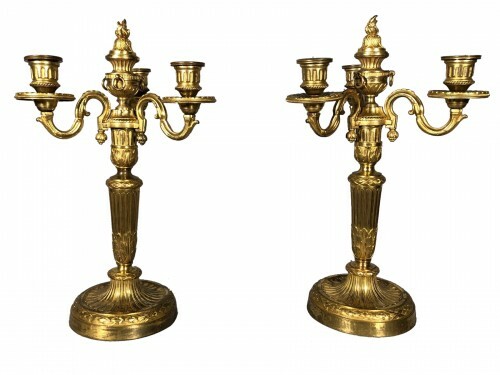 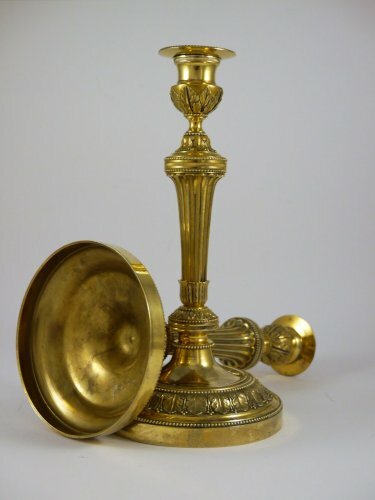 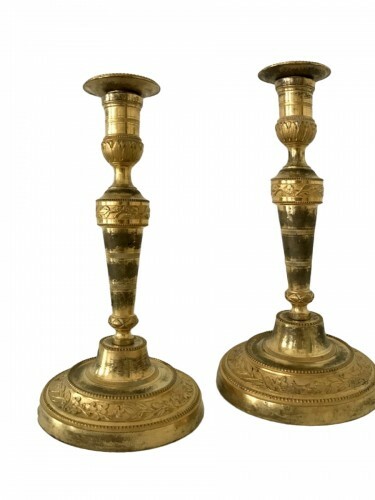 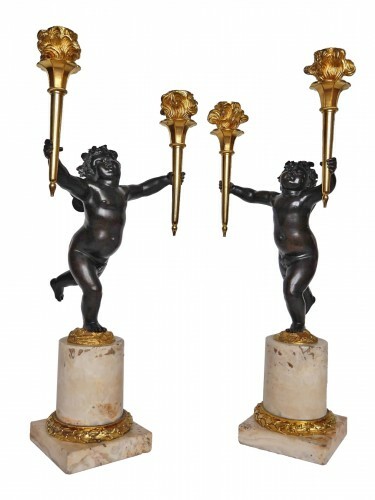 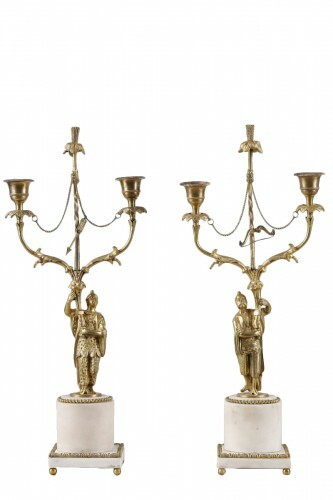 Pair of Louis XVI gilt copper candlesticks. 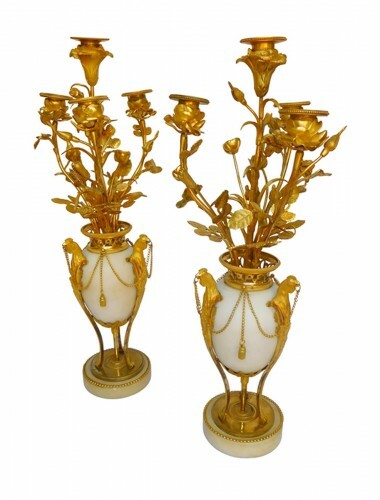 The bases and binets are chiselled with acanthus leaves. 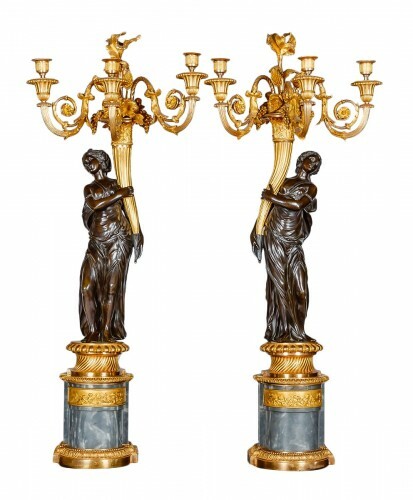 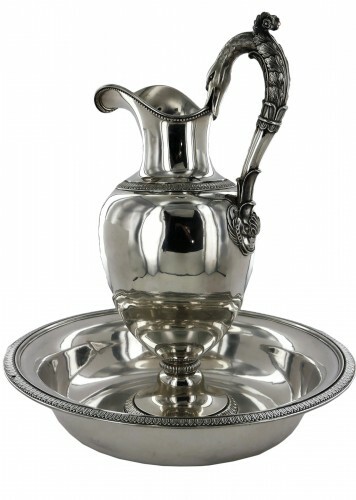 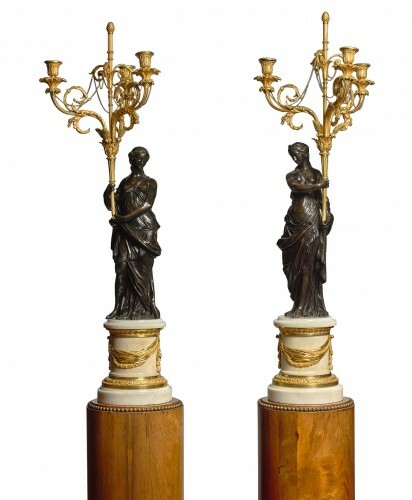 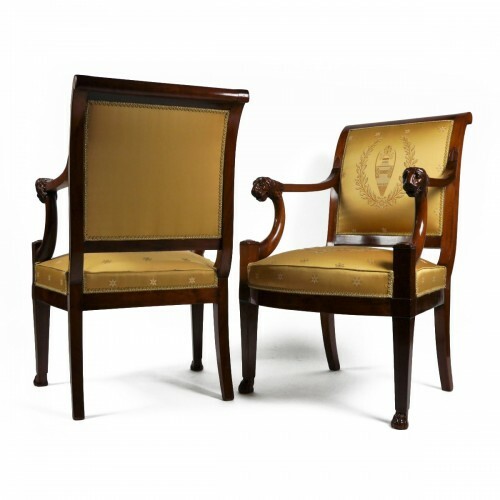 Claude Galle sells in 1805 two pairs of identical candlesticks for the Palace of Fontainebleau for the apartment of the King of Naples (Inventory of 1807).